We can provide April 2019 Florida flight prices on all major airlines including Virgin, British Airways and United. Our Florida flights April 2019 are ATOL and ABTA protected. Book in conjunction with car hire on a deposit of £100 per person. Prefer direct flights? Be quick! These April 2019 dates are difficult. Both BA and Virgin fly direct to Orlando from Gatwick. Virgin also offer April 2019 Orlando flights direct to Orlando from Manchester and Glasgow. Depart 4th April 2019 or before for the best value. Stuck with school holiday dates and obliged to depart 5th-7th April 2019 or 12th-13th April 2019? An early booking helps. More economical alternatives on these tough dates are BA’s direct flight from Gatwick to Tampa or direct flights from Heathrow to Miami. These options can save as much as £500 per person. Heathrow is by far the best option for cheap April 2019 Florida flights. Fly with one stop for a great price even on the busiest dates. Glasgow, Edinburgh and Manchester also offer good value one-stop April 2019 Orlando flights. Don’t be afraid of one change en route – the 2 or 3 hour stopover is spent clearing US Immigration resulting in no formalities on arrival in Orlando. Prefer to fly from your local airport? We book connecting flights from Aberdeen, Isle of Man, Belfast, Newquay, Exeter or Jersey. Supplements are small and connections are well timed. We can suggest a schedule to suit you. 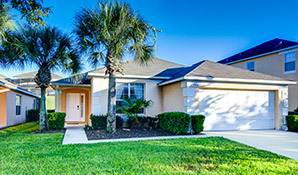 We’re already taking bookings for Easter 2019 Florida flights. Call today on 01934 319 851 to discuss options, or complete our enquiry form for an email quote.